Lapu-Lapu City is a first class and a highly urbanized city in the province of Cebu. 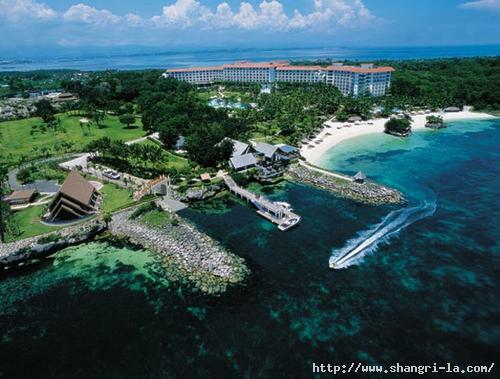 It occupies most of the Mactan Island, and also covers the Olango Island group and a few islets. The city is also part of the Cebu Metropolitan Area. The city is joined to Mandaue City on mainland Cebu by the Mactan-Mandaue Bridge and Marcelo Fernan Bridge. Mactan-Cebu International Airport, the second busiest airport in the Philippines, is located at Lapu-Lapu City. History has it that Mactan Island although small was a thriving community when the great Magellan was in Cebu. The brave Spanish navigator and soldier, upon learning that some inhabitants on this tiny island across Cebu refused to recognize the King of Spain, burned one of the villages. Lapu-Lapu was one of the native leaders who refused to acknowledge the sovereignty of Spain over the Islands. When Magellan, with three boatloads of Spaniards and twenty boatloads of Cebuanos, went to Mactan to help a friendly chief, Lapu-Lapu and his men armed with native fighting elements, wooden shields, bows and arrows, lances, met them. The invading Spaniards and Cebuanos were driven back to their boats, but their brace leader, Magellan, met death in the hands of Lapu-Lapu. On what is believed to be the exact spot where Magellan fell and died now stands an imposing monument in honour of the gallant explorer. In the 16th century Mactan Island was colonized by Spain. An Augustinians friar founded the town of Opon in 1730 and became a city in 1961 and was renamed after Datu Lapu-Lapu, a Muslim king who defeated Portuguese explorer Ferdinand Magellan in 1521. This battle is commemorated at the Lapu-Lapu shrine in Punta Engaño. Total land area of the city is 58.10 km2 (22.43 sq mi) which is being occupied by a total population of 350,467 (2010 census). Lapu-Lapu City has been rated as among the country’s most business-friendly places, according to a study of the Asian Institute of Management, the Canadian and Australian Government, the International Finance Corporation, the World Bank, the National Competitive Council and the Department of Trade and Industry. Sound practices such as fast-tracked permits, the setting up of “one-stop-shop” and the recognition of top investors and taxpayers help ensure that investments come and stay. Tax holidays at economic zones also contribute to the rise of more businesses in the city. Local colleges, universities and training centers ensure a steady reserve of highly-skilled and English-speaking workers. International schools and distance learning, on the other hand, offer sufficient alternative education for children of expatriate families. Punta Engano, is the place in Lapu-Lapu where you can find fine beaches and resorts at a very low and affordable prices.